EXCLUSIVE | Almost three floors of government-leased office space in the city’s tallest building have been left vacant since June – at taxpayers’ expense – after Premier’s Department staff were forced to shift to much-touted new digs in Port Adelaide, InDaily can reveal. The previous Labor government pledged to relocate bureaucrats into the $40 million Nile St office building in Port Adelaide as part of its oft-spruiked rejuvenation of the district. It’s committed to find tenants, with the building leased to the Government for 15 years. But while there have been headaches in finding public servants to occupy the site, the few who are there already have created similar headaches in the CBD. 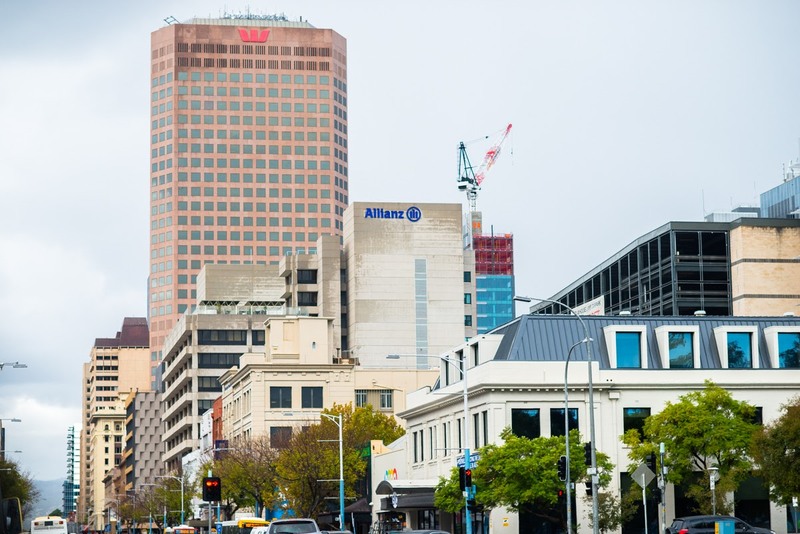 The Marshall Government has confirmed that it is yet to find new tenants for two-and-a-half floors it leases in Westpac House, the 31-storey office tower that has previously housed Santos and the State Bank. The floors have been vacant since June, when a reported 170 shared services staff were shifted down to the Port. A spokesman for Transport and Infrastructure Minister Stephan Knoll told InDaily the Government was “working through accommodation changes and will look to backfill the space… following recent Machinery of Government changes”. However, there was no specific detail on who would move into the space, or when. The Government leases nine floors in total in the Westpac building, with the lease not expiring until December 31 next year. The Government says there was “a zero vacancy” on its CBD-leased accommodation as of March. It won’t reveal how much taxpayers are paying for the vacant floors in one of the city’s prime office blocks, citing commercial confidentiality. The latest twist follows a dismal saga at the Port, after the Labor cabinet signed off on a plan in 2016 to send staff from various agencies, including Renewal SA, to the new building. The Department of Planning, Transport and Infrastructure’s property manager, Steve McQuillan, detailed the plan to shift 500 bureaucrats from the city to Port Adelaide at a Public Works committee hearing in April last year. “Basically the agencies going down there are Renewal SA and a business unit of the Department of the Premier and Cabinet,” he said at the time. However, Renewal SA never moved to the new digs, and the agency’s chief executive John Hanlon tells InDaily it was not a feasible prospect, particularly after the government began to focus on plans for the old Royal Adelaide Hospital site and “we picked up a significant chunk of work in the CBD”. He said new machinery of government changes to create a new housing authority that removed Housing SA from the auspices of Renewal SA had also reduced the size of his department to “less than 100 people”. “We would never have filled the whole building – we just didn’t have the numbers to do it,” he said. Renewal SA is currently paying the lease on the ground floor of the Port building, which it will sub-lease to hospitality businesses – but not until there are tenants in the floors above to cater to. Renewal SA, as a statutory body, has the authority to own, lease and sublease its own buildings, which other agencies do not. “If someone told me Renewal had to take the building, I’d take the building and sublease it out,” Hanlon said. “But since the Liberal Government came in we haven’t even had that discussion [as it’s] pretty obvious we don’t have that many people… we’re 100 people, max. But a Labor spokesperson insisted that “Renewal SA changed their position from 2016 and were looking for a way out of having to move to Port Adelaide, despite the fact they have been leading the rejuvenation of the Port”. Knoll has since suggested the six-storey block could be part-leased to defence companies that wanted to be close to Techport in Osborne, but the Advertiser reported early this month that none had yet signed up. Knoll said in a statement the episode was “another example of Labor’s financial mismanagement”. “Labor left taxpayers to foot the bill for empty office space in the Westpac Tower with no contingency,” he said.